Have you seen them? The sort of spectacle that everyone should see at least once, Blackpool Illuminations enthral millions of visitors every year. The greatest free light show on earth has been a major part of Blackpool’s attraction since 1879 when they were described as ‘Artificial Sunshine’. 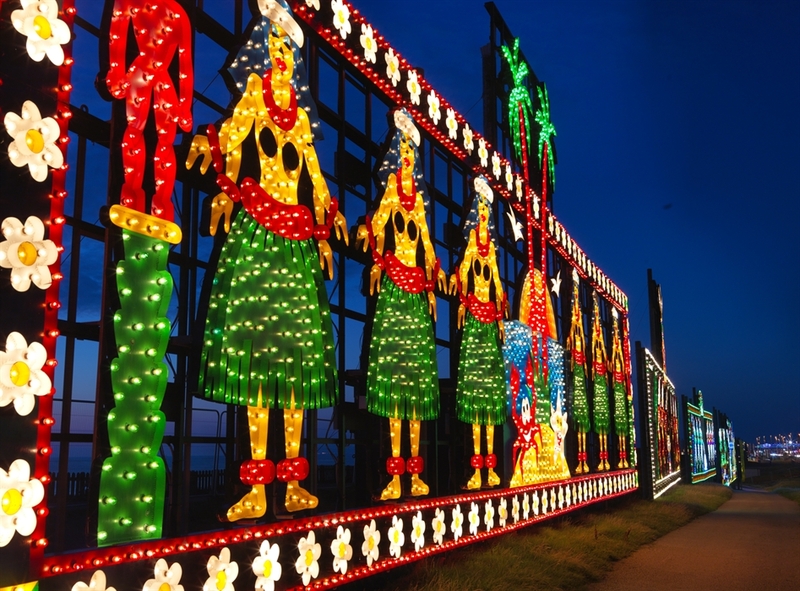 The annual Festival of Light compliments the traditional Illuminations with a contemporary look at the concept of light and art working together to create entertainment. You can even get involved with some of the interactive installations designed to amuse and provoke thought. The “Big Switch On” is the brightest night, when the switch is pulled to create the magic and excitement that Blackpool is known for.